Collections of "interviews" conducted abroad and "in the field" shape latest UN report - compiled by US corporate-financier representative Karen Koning AbuZayd. 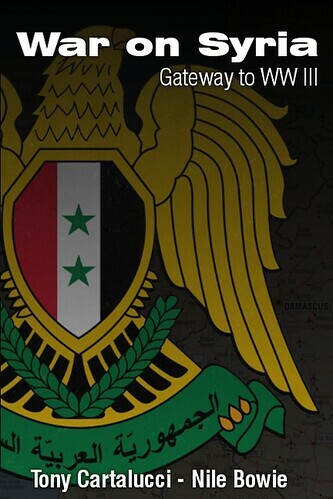 August 15, 2012 - "The [UN] report covers the period between Feb. 15 and July 20 and involved 1,062 interviews, both in the field and in Geneva," reported the Washington Post in their article titled, "UN expert panel concludes Syria regime, militia have committed war crimes against civilians." The Washington Post also writes that the UN report stated, "anti-government armed groups committed war crimes, including murder, extrajudicial killings and torture." The value of a report based on "interviews" is throwaway propaganda - to be twisted and used by both sides accordingly, but ultimately adding nothing in terms of documented facts or forensic, photographic, and/or video evidence. While providing a window into the current state of propaganda hanging over the Syrian conflict, the report adds nothing in terms of a better understanding of actual events on the ground. The language used by the Washington Post, and the selectively accusing title chosen indicates that the "twisting" and leveraging of the UN's latest report has already begun. The latest report is but a tired rehash of the equally useless UN Human Rights Council's report (full text .pdf) published in November 2011. This too was nothing more than a collection of "interviews" conducted abroad with "witnesses" provided by Syrian opposition groups and alleged defectors. 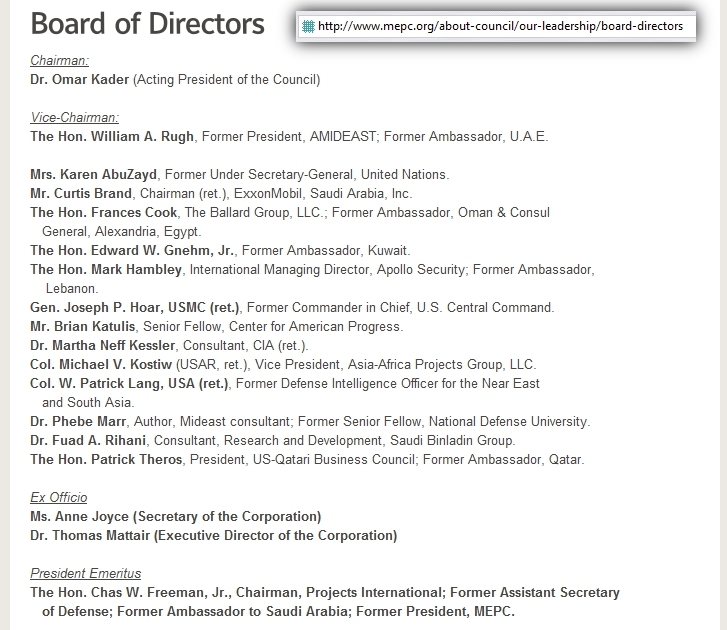 The UN panel for both the 2011 and most recent report was co-headed by Karen Koning AbuZayd, a director of the US Washington-based corporate think-tank, Middle East Policy Council. Its board of directors includes Exxon men, CIA agents, representatives of the Saudi Binladin Group (Osama Bin Laden's family business), former ambassadors to Kuwait, Oman, and Qatar, US military and government representatives, and even the president of the US-Qatar Business Council, which includes amongst its membership, AlJazeera, Chevron, Exxon, munitions manufacturer Raytheon (who supplied the opening salvos during NATO's operations against Libya), and Boeing. 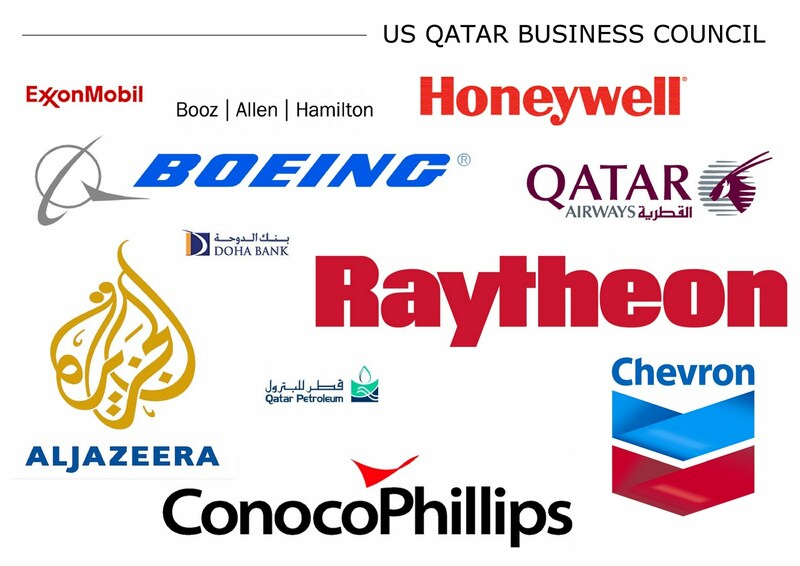 Image: Just some of the corporate members of the US-Qatar Business Council, whose president just so happens to sit on the same board of directors of the Middle East Policy Center as Karen AbuZayd, co-author of, now two, conveniently timed UN reports on Syria. In other words, the very underwriters of the armed militancy that is consuming Syria are sitting along side the head of the UN commission producing reports portraying the Syrian government as guilty of "war crimes and crimes against humanity." The hypocrisy, criminality, and fraud is, for a lack of a better term, astronomical. 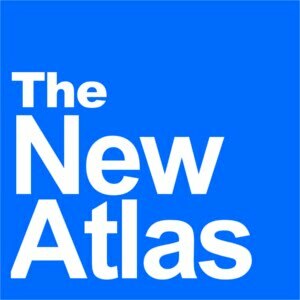 Such reports based on unverified "interviews" conducted with admitted members of Syria's opposition, citing absolutely no evidence, and compiled by representatives of the very corporate-financier interests who have conspired since at least 2007 to undermine and overthrow the Syrian government with armed sectarian extremists represent biased propaganda serving special-interests that has absolutely no place within the allegedly pluralistic United Nations. The UN, however is by no means pluralistic. It is a tool of the corporate-financier interests of the nations that dominate it, specifically interests emanating from Wall Street and London and those in their geopolitical orbit. Not only is the most recent UN report throwaway propaganda, it may serve as an exhibit in future war crime tribunals leveled against those conspiring against the people of Syria. For the UN, it has categorically proven the failure of "global governance" and the primacy of "international law." It serial failure demands its replacement by multipolar cooperation that recognizes national sovereignty and the primacy of the nation-state as an unassailable, uncrossable line.